Do you ever find yourself at a buffet and can smell a bloat coming on? Let me be honest, I’ve been there before. The endless supply of fried foods, dinner rolls and decadent desserts can put anyone in a food coma. So you’re thinking, is it even possible to leave not feeling like you need to lay down for a nap? How can we possibly focus on portion control when there is so much food around, right? 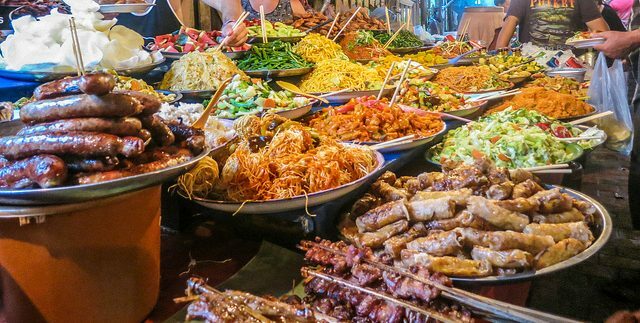 We’d all like to enjoy a buffet here and there but we often just don’t know how to approach the endless supply of food without completely blowing our diet. Here are a few tips to hopefully help you walk out feeling satisfied, but not miserable. Drink WATER before, during and after eating. This really goes for any meal. Water helps to rid your body of toxins so drink up! It will also satisfy some hunger before actually eating and fill you up quicker. Get a salad first. Limit putting on too much cheese, croutons, bacon bits and dressing. Limit yourself to 1-2 main protein choices. At buffets, many proteins are going to be fried, which adds up calories quickly. Most Americans get too much protein, so be mindful. Focus on veggies. Load up on vegetables – other than just corn and potatoes 😉 . Choose greens and bright orange veggies! Limit sweets and treats. Most buffets have a spread of any dessert you could ever want. But by the time we get to the dessert table, we’ve probably already indulged in a surplus of calories so think of this as a small, sweet finish. Focus on small portions and only use a dessert plate! Keeping these small tips in mind when eating at endless buffets can go a long way in preventing too much overindulgence. I always say, BE MINDFUL! Make conscious, healthy decisions and think about the impact that food has on our health. Your body will thank you! 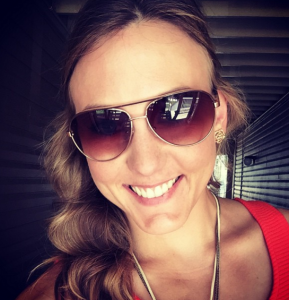 I’m Kaci…health coach, personal trainer, nutrition consultant and believer of balance. I love all things health and wellness!